I don't know if you knew Elisabeth Charlotte Askildsen husband and their 10 children - and of course his family ?I have knowledge of most of them. Here you find Lars in 1793 Lenke buried 21.9.1793 51 year old. 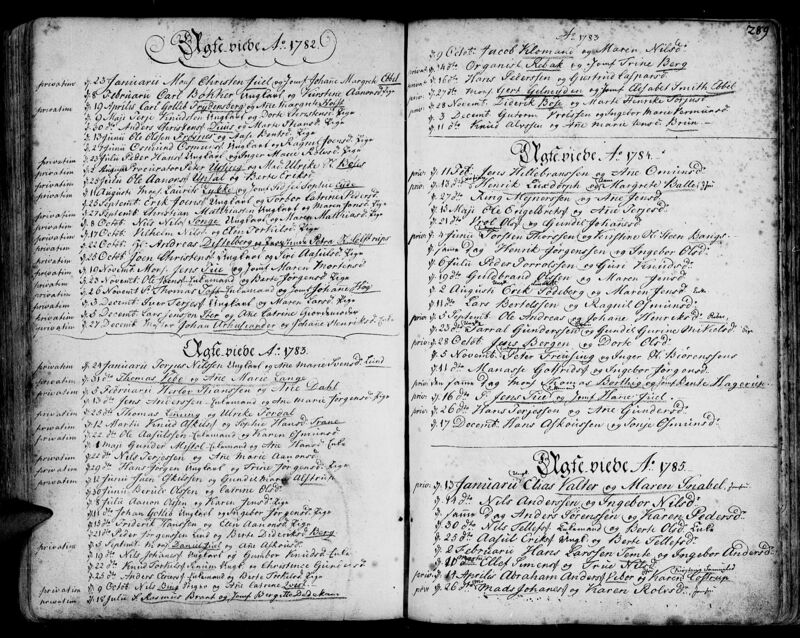 The Kviteseid church books starts in 1754. Trontveit is not a Treungen farm, but is situated in Nissedal parish, on the left side of the Nisser lake. I will therefore suppose that Lars Askildsen was batized in Nissedal church - not in Treungen church. Maybe it would be possible to find his confirmation (about 1766-67)? Johannes Askildsen was married to Georgine (Jørgine) Erboe. Here you find a lot more about her and the Erboe family Lenke,9483,9495 (Everything until 9495 must be in the adress).There you also find their two children, both unmarried. The daughter has the middlename Sommer which you also find the origin to in the same tread.You will find a lot more information if you click on 'Fortsettelse ....' at the bottom. 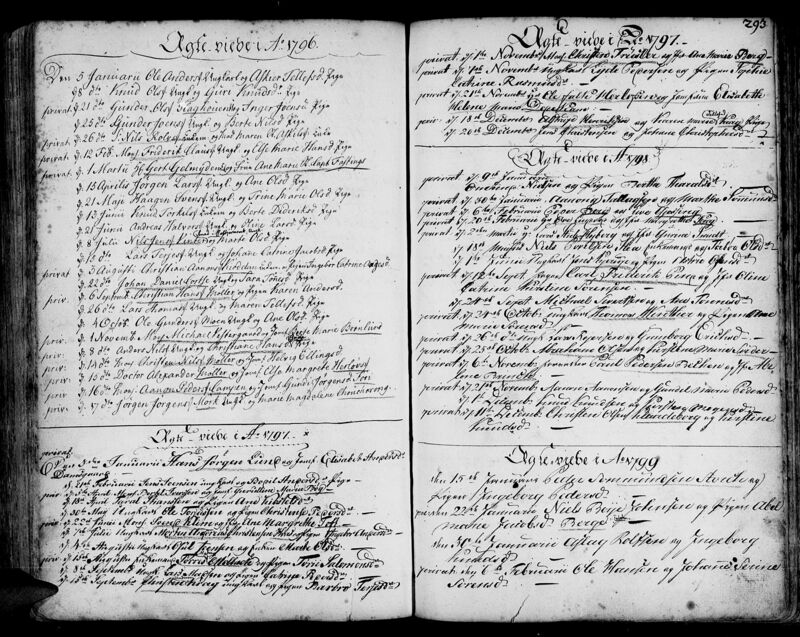 I have located in the marriage records of Arendal a Madame Maren Askildsen 'enke' married Niels Rolfsen 'enkemand' on Jan.26, 1796. Is this Maren the same person as Lisabeth? There could not have been too many Askildsen widows in Arendal at the time. [url="http://www.arkivverket.no/URN:NBN:no-a1450-kb20070329640301.jpg>LenkeI suppose we could also wonder if the Knud Askildsen is a brother of Lars and whether his wife Sophie Johanisdater referred to in #5 above is a sister of Lisabeth (Maren) Jonasdatter.LenkeFinally, what do you all think about the witnesses/godparents at the birth of Lars and Lisabeth's first child?